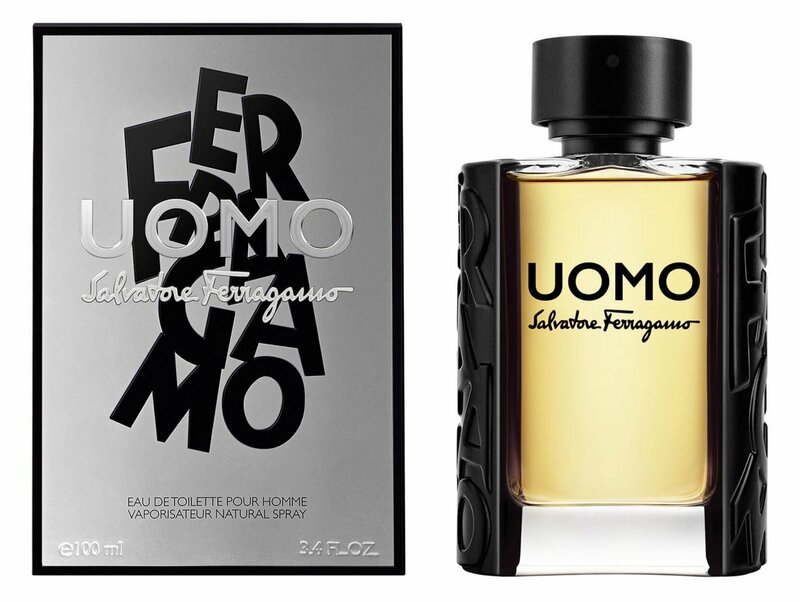 Uomo (Eau de Toilette) is a popular perfume by Salvatore Ferragamo for men and was released in 2016. The scent is sweet-gourmand. It is being marketed by Salvatore Ferragamo Group. The face of the advertising campaign is British actor Ben Barnes. Is a nice release from Ferragamo, I scent a gourmand vibe, like Tonka bean, sweet notes and citrus. As for the sweet notes like everyone posted reviews get that Tiramsu scent, in which I get as well. I do love gourmand fragrances with being Tonka bean one of my favorite note(s). To my nose is not overly sweet in your face, but to me on my nose it's blended just right. The fragrance is simply awesome and really stands out from most of the fragrances I currently so own ( Can I like to recommend fragrances ) to go away in the evening really a mega fragrance I see myself in the winter over the Christmas market run, all people nice & warm & happy (: . ( again ) is always worth a try, it came now. many other perfumes would wish for and the silage also very good. exaggerated that she also already goes into leather and also over br /> Hours remains dominant. The cake sweetness, which is quite tasty, is too much dominated here. The rest remains in the background like with Gucci. However, a cosy coffee and cake round looks different. ( Tested both again in comparison). that it can be very disappointing what you partly get for your money. This was much-hyped on release, particularly in the youtube fragrancesphere, but after spending more time with it and waiting for the hype to die down, does it still stack up? I wish my future wife smells like this. Straight beautiful sweet gourmand fragrance. Shocked that this scent is made for men. I got looks at work and comments on the train. I used four sprays; one on both wrist, on my neck and work shirt. It's a gentle beast, that wants your attention like a cute puppy. But more spray of it will turn you into a cotton candy factory with fangs. That's a warning. Anyway, I have smelt four feet away and I wore this in the dead of winter. So imagine if I wore this during the summer, Damn! For four hours this fragrance is out there, after that your scent bubble shrinks...So at the seventh-hour mark it a few inches above the skin. Anyone walking pass you will still pick it up the scent. I will buy another asap...before the price gets jacked up before it's discounted or reformulated. $30 for a 3.4 Oz Bottle. Versatility: 5/5 (For anything(summertime, please only wear this at night) & everything, at any time! But I'd save it for something special. Let me introduce you to the Tiramisù, a classic Italian dessert with Ladyfingers. The original recipe consists of egg, sugar, mascarpone cheese, Savoiardi biscuits (Ladyfinger), strong moka coffee, a bit of Marsala liquor, and cocoa for dusting. That's it, and the final amazing taste and smell are supposed to be the backbone of Uomo... Let's see. To start off, it is pretty evident that the bottle is remarkably similar to that of Lalique’s new fragrance for men, L’Insoumis. Despite they have different logos embossed on the two sides of the bottle, the concept is identical. Nonetheless, the two scents have nothing in common and they are diverging from each other, Uomo is oriental-gourmand whereas L'Insoumis is woody-aromatic. Smelling Uomo on a card won't give you anywhere near an accurate idea of how it will smell on your skin. This is a gorgeous scent. Similarities to ZARA "Ganache Tonka" I feel but much smoother, more complex and far better I'd argue, with the plus of Tiramisù secret ingredient. Uomo is non-linear, it follows the familiar structure of spicy top notes, praline-like middle, and woody-ambery base. 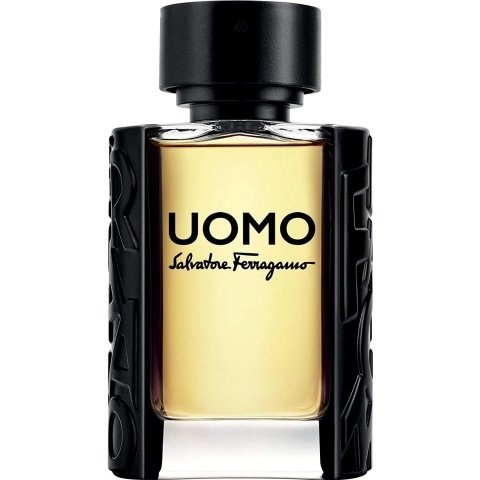 Uomo starts very strong, it opens with a blast of licorice-coffee-coconut like accord, blended with balsamic green cardamom, and spicy black pepper that kicks in a few minutes later. The velvety bergamot is just a hint, like a drop in the ocean, not dominating the opening. At a first glance, the scent is overtly fresh, balsamic, and sweet but not cloying, indeed gourmand but not obnoxious. So far so good, but... where is the dessert? Here it comes. The heart announces with a dominant accord of Tiramisù, so smooth and suave, the concoction of cocoa, coffee, Marsala, and vanillic-cream is crystal clear, supported and balanced with some other sweet notes, perhaps the soft touch of orange blossom. And then the dry down, the base is a kind of powdery cacao and roasted tonka bean vibe, yet blended with the creaminess of the blond woods, cashmere and sandal to extend the sweet-vanillic aroma. Tonka here is a great choice, instead of overwhelming everything which came before with vanilla, the tonka picks up the coffee and cocoa transporting them to the final moments of Uomo. That said, Uomo is still pretty impressive, all things considered. Many seem to classify it as cloyingly sweet, but I regard it more as a sweet blend with more traditional aromatic masculine elements. The Tiramisù is front-and-center but doesn't dominate the fragrance nonetheless. The sweetness is paired with sharper elements to start and in the dry down the experience becomes smoother, more relaxing. It's slightly spicier at the opening due to the cardamom and black pepper, which give way after about an hour to the Tiramisù and eventually to woods and tonka in the dry down. I admit I don't get much bergamot or orange blossom, just a hint --not really any citrus or floral contributions at all to this. It's mainly a sweet and woody composition to my nose, which is fine by me and amazing. On my skin Uomo has 7-8 hour longevity and average sillage, which makes it good for work and a number of occasions. Its sweet, woody, sensual notes make me preferring it for fall-winter cold seasons, for special occasion, yet for leisure, party, and clubbing. Despite the recommended target is young people, I do like it and don't find it inappropriate for middle-aged silvery foxes men like me. I used to think this was wayyyy too sweet - something along the lines of Pure Tonka - but I guess my nose must have evolved. The opening on paper doesn't do it justice - generic sugary thickness that we've all smelled a hundred times before. But unlike Pure Tonka which remains fairly linear, Ferragamo Uomo changes for the better. If you're thinking that you're going to get tiramisu right from the gate, you're wrong. Like most gourmands, you need to put it on warm skin and GIVE IT TIME. The notes open up after about an hour and the dessert feel starts to come through. Think cream filled pastry with a chocolate powder. A bit of orange gives it some character and the tonka bean fills out the rest. But despite the woody notes, it's not heavy. Instead, it's incredibly aromatic and can easily get cloying with more than 3-4 sprays, thanks to beastly longevity. I accidentally sprayed the back of my hat 2 weeks ago and my closet STILL smells of the stuff. And let me tell you, in MILD doses, it's simply wonderful. One of the biggest surprises I think is the persistence in quality over time - meaning that it degrades really well. Instead of the chemicals falling apart over time and smelling awful like with most cheap frags that use inferior fixatives, this one remarkably maintains nearly its entire fullness and balance throughout its duration - on clothes especially. So bonus points for that. Unfortunately, the projection on me isn't great - but like I said, it's probably better that way. You know - in mild doses, like all desserts. My guess is that people who hate on Uomo are like the old me - not giving it a fair shake, and at least a months' wearing. Oh well, maybe it's just not their thing. That's cool too. For me though, I'm looking forward to using up my decant so I can get a full bottle before they water it down. Now if you'll excuse me, all this talk is making me hungry. I'm getting a donut.